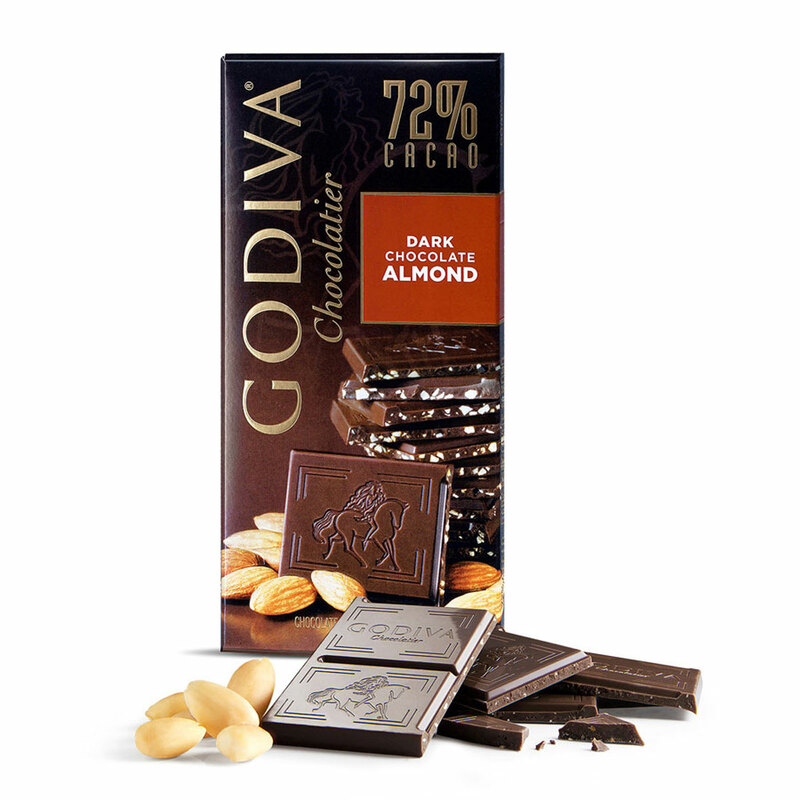 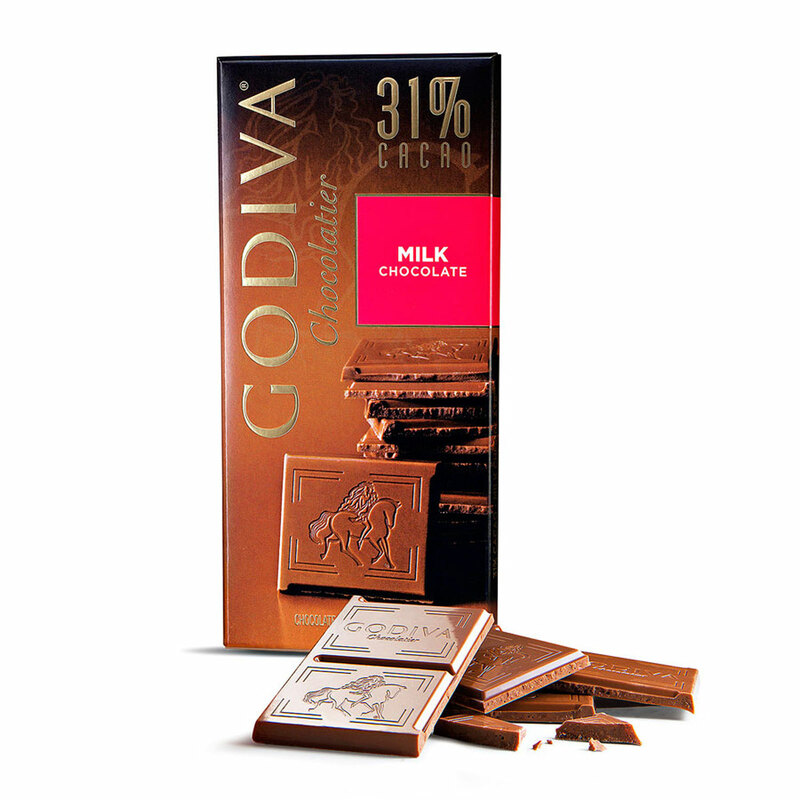 Discover the world of Godiva in this irresistible assortment of Godiva chocolate tablets. 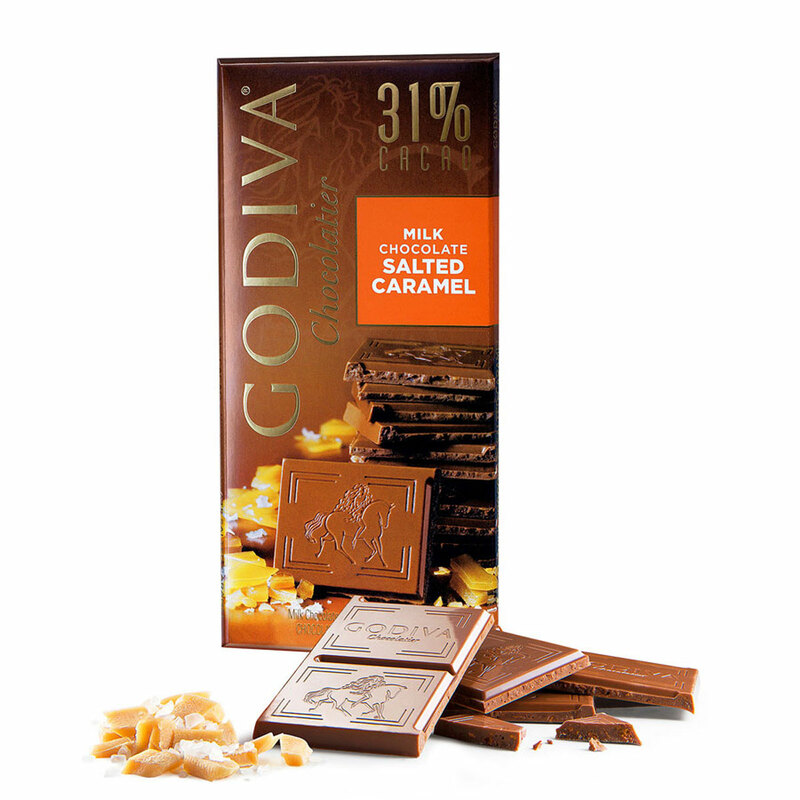 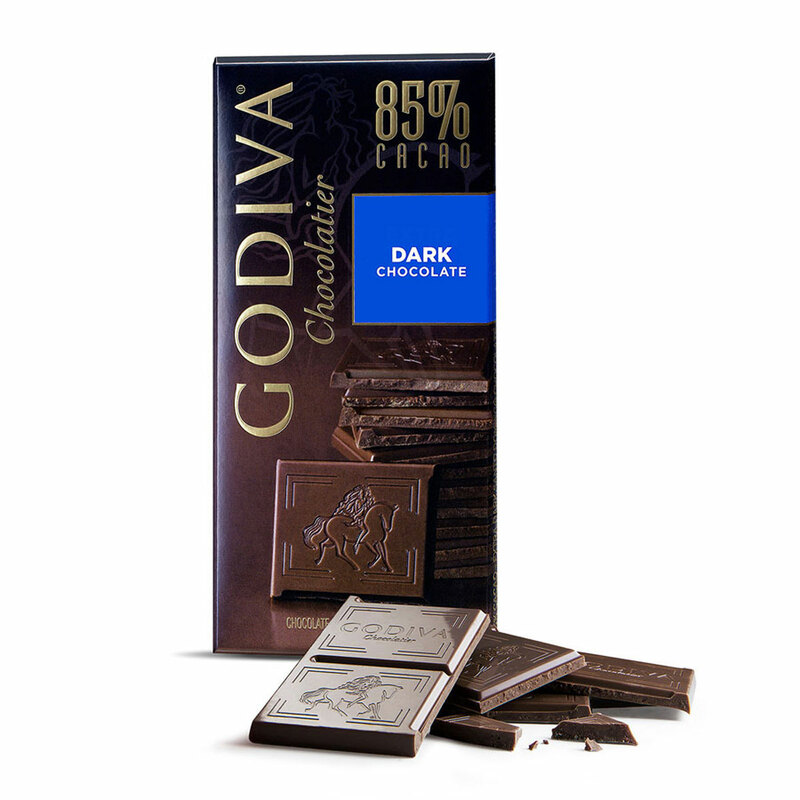 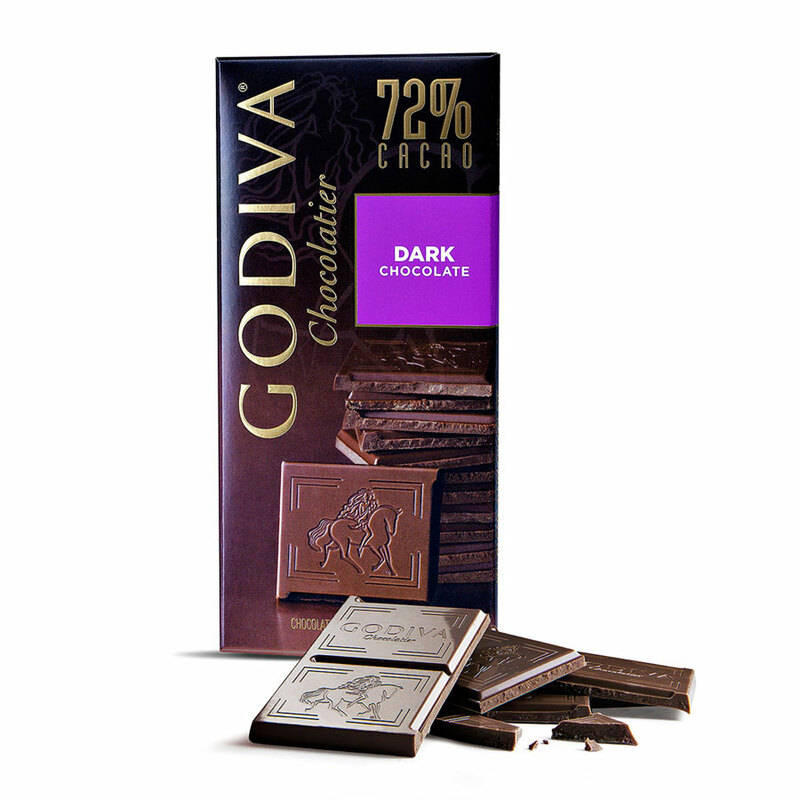 Five luxurious tablets showcase the rich variety of Godiva's premium Belgian chocolate. Flavors include: 85% Dark Chocolate, 72% Dark Chocolate, 72% Dark Chocolate Almond, 31% Milk Chocolate, and 31% Milk Chocolate Salted Caramel. 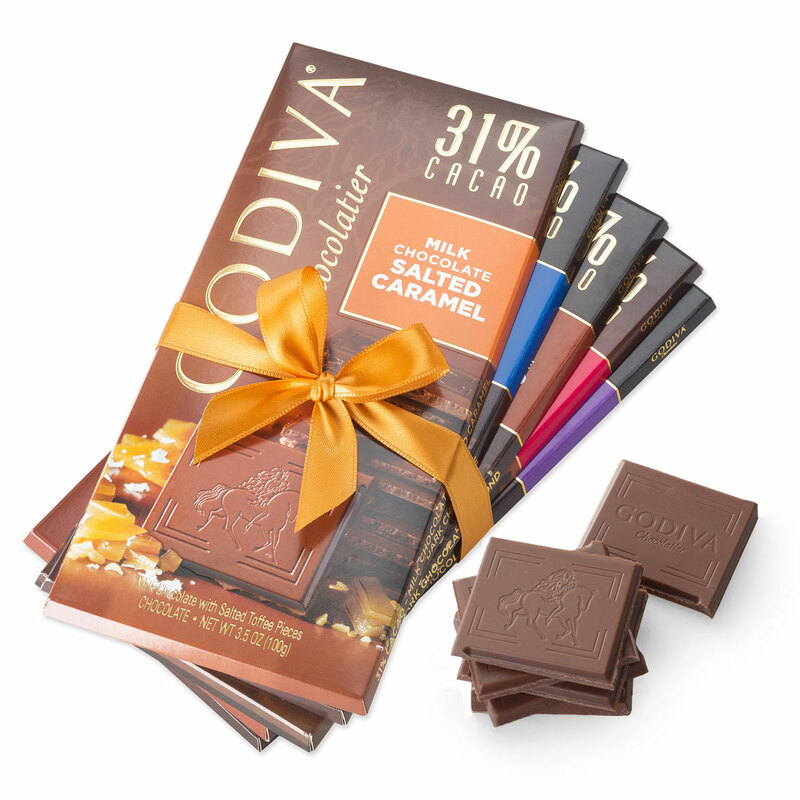 Treat a friend to a well-deserved indulgence with this delicious gift idea.